The Miniature Golden Retriever - What is it Exactly? Imagine everything you love about a Golden Retriever – their friendly temperament, absolute loyalty, and loving playfulness – but in a smaller size. Sounds pretty good, right? Enter the Miniature Golden Retriever, a dog who is exactly that. The Miniature is one of the latest ‘designer breeds’ that are taking the canine world by storm as would-be owners seek out their favorite dogs in a package better suited to their lifestyles. 1 What are Miniature Golden Retrievers? 2 Are They Officially Recognized? 3 How Do They Compare with Standard Golden Retrievers? 4 Are They Bad for the Golden Retriever Breed? 5 Should I get a Miniature Golden Retriever? What are Miniature Golden Retrievers? Despite what their name suggests, Miniature Golden Retrievers aren’t simply pedigree Golden Retrievers selectively bred to be smaller. They are a cross mix of different dogs instead of just a size variation on the breed standard. This is different to the Mini Husky, for instance, which is just a smaller version of the Husky. The breeds used to create the Mini Golden are usually either a Golden Retriever and Poodle, or a Golden Retriever and a Goldendoodle (Golden Retriever x Poodle mix). Some breeders also mix in Cocker Spaniels, although this can result in some less than desirable characteristics, which we’ll discuss later. This specialist breeding is designed to create a dog matched as close as possible with a standard Golden – usually between a 50 and 75% genetic match. The idea is to create puppies that have the same wonderful character and temperaments of a normal Golden, yet in a smaller size. Miniature Golden Retrievers are also known as Petite Golden Retrievers and Comfort Retrievers. The latter is actually the trademarked name for the puppies bred by Kathy Burgess, who claims to have created the first Miniature Golden. Burgess’ Mini Goldens are so popular and well known that their trademarked name has now become synonymous with the breed. Miniature Golden Retrievers are not a member of the American Kennel Club but a certain mix of them is recognized by the Designer Dogs’ Kennel Club – the Golden Retriever x Goldendoodle. 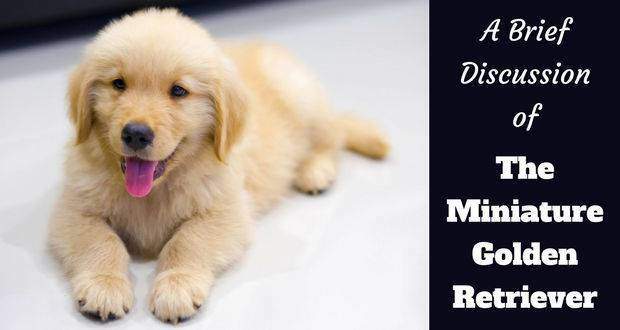 Responsible breeders are clearly committed to work towards the recognition of the breed and the enforcement of best breeding practices for Mini Goldens. This usually translates to puppies sold already neutered, microchipped, with an ID tag and a health certificate. As with any breed of dog, it’s imperative that you choose to buy from a reputable breeder in order to ensure the good health and longevity of your new pup. How Do They Compare with Standard Golden Retrievers? While the aim of Miniature Goldens was simply to create a dog that was a companion sized version of the standard Golden, there are a number of differences and similarities between them. This should be expected if you account for the Mini also having some Poodle characteristics. There’s no breed standard for the Mini Golden, but there is enough breeding activity at this point to accurately gauge some sort of average across the dogs. Standard Goldens usually weigh somewhere between 55 and 75 lbs (with females at the lighter end and males at the heavier) and measure between 20 to 24 inches in height. Miniatures, however, usually weigh between 20 and 45 pounds and measure between 14 and 20 inches in height. Exact sizes will differ depending on the proportion of genetic matter they inherit from their parents. Dogs who inherit a higher proportion of Golden genetics will likely be a little bigger, while those that have more Poodle genes will probably be at the smaller end. The expected lifespan of the Miniature Golden is between 10 and 15 years while standard Goldens can expect to live between 10 and 12 years. Larger size dogs generally have a shorter lifespan than smaller ones as it’s thought that they age faster. Both the standard and Miniature Goldens face the risk of inheriting various genetic diseases such as joint dysplasia and eye problems. Always check that your breeder can provide proof of the good health of the parents before you buy a new puppy. The hair is one of the most obvious features where Miniature Golden Retrievers can show their Poodle genetics. It’s usually anywhere between the straight, sandy short locks of a standard Golden and the wavy, curly and soft in texture hair inherited from the Poodle parent. Some breeders claim that their Miniature Goldens will shed less than a standard Golden thanks to the input of the Poodle genetics. Standard Goldens are notorious for being heavy shedders and require daily brushing, so this is a major benefit of buying a Mini. However, it’s impossible to predict just how much less your Mini Golden will shed as it will vary from dog to dog as they all inherit different characteristics from each parent. If your Miniature has inherited the shedding gene from the Poodle parent, they’ll be less heavy shedders than the Miniatures that inherit it from the Golden parent. Most good breeders should be able to roughly quantify a dog’s shedding for you before you bring them home. Golden Retrievers are known for their loving loyalty, friendly character and calm temperaments – the best breeders will be able to create these characteristics in a Miniature Golden Retriever too. Just like standard Goldens, Miniatures make great family pets and get along well with children. Just like most dogs, they love attention in all its forms, whether it’s playing fetch, some scratches behind the ears or going for a long walk. They do need plenty of exercise to manage their weight and keep them mentally and physically stimulated. Minis are also easy to train and socialize if you put in the time and effort required. Like their larger counterparts, Miniature Goldens are prone to the odd bark to alert their family to new noises or situations. When the doorbell rings, you’ll know about it if there’s a Mini in the house! As such, they make great guard dogs. Essentially, Mini Goldens possess all the temperamental characteristics of a normal Golden Retriever. Breeders that use Cocker Spaniels to create Miniature Golden Retrievers do invite more risk of bringing forth undesirable characteristics that are not seen in normal Goldens. Some breeders have commented that Mini Goldens with some Cocker Spaniel parentage can be more prone to nipping and biting. This will make your dog less family friendly and less suitable to be around children. We’d advise avoiding breeders that use Cocker Spaniels to create their Minis. Are They Bad for the Golden Retriever Breed? There is some concern that creating designer dogs such as Miniature Golden Retrievers will in some way prove to be a bad thing for the Golden Retriever breed. While there may be some merit in this argument, it doesn’t really apply to the case of Mini Goldens, as they aren’t simply a smaller version of the breed, they are really a different breed that’s simply related to it. 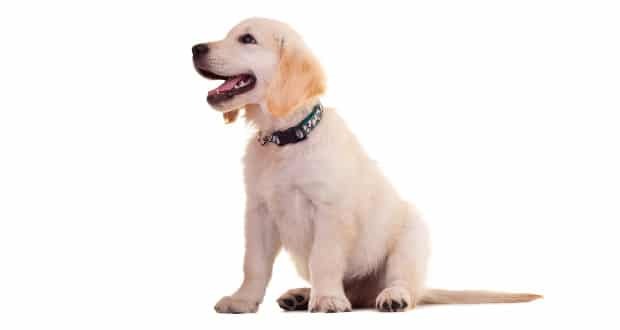 You could argue that Miniature Goldens could be bad for the breed if they suffered from ‘dwarfism,’ or were small pedigree Goldens as this would suggest that breeders had used abnormally small Golden Retrievers to create such small pups. This would entail passing down defective genes: an unethical move in order to achieve a small size at the expense of the dogs’ health. 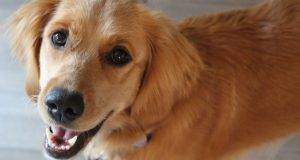 As long as they are responsibly bred, Miniature Golden Retrievers are nothing but good for the Golden Retriever breed, offering would-be dog owners a more manageable size of a wonderful breed. Can Breeding Miniature Goldens be Bad for the Dogs Themselves? There will always be questions raised over the ethics of selectively breeding dogs to fit certain characteristics that suit us as humans rather than those characteristics that are necessary for the breed. 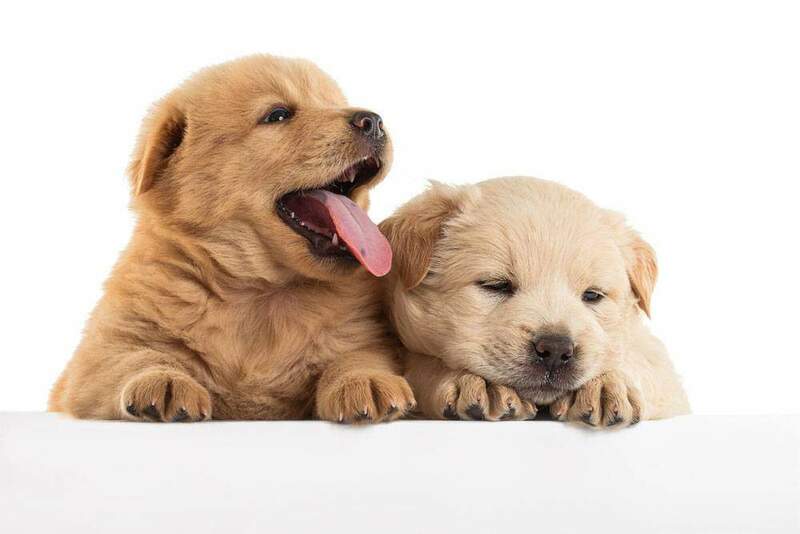 However, breeders have undertaken much research and study in order to create Miniature Golden Retrievers that are not only suitable for people wanting smaller dogs, but that provide benefits to the dogs themselves. Smaller sized dogs are not only easier to care for, they’re also likely to live longer, as demonstrated by the increased lifespan for Miniature Goldens over the breed standard. Many dogs will also shed less hair and (providing care has been taken in the selection of sire and dam) should avoid the inherited diseases that can afflict Golden Retrievers. Are Miniature Golden Retrievers Just a Gimmick? There’s been a certain trend developing over the last few years for designer dogs that are small in size. Whether it’s social media celebrities toting around their exotic Pomeranian mixes or the rise of can’t-believe-it’s-not-a-teddy-bear Goldendoodles and Mini Huskies popping up in families across the US. So, are Miniature Golden Retrievers simply just another trend? We don’t think so. There is a specific utilitarian purpose behind the Miniature Golden Retriever, over and above just the fact that they’re ‘cute’ (although they are certainly cute too!). Miniature Goldens are specifically bred to suit owners who are unable to manage the size and care requirements of a standard Golden. Although of course, Miniatures still require plenty of care, love and exercise, they are more of a companion size than the regular breed. As long as they still get regular exercise, Miniatures will be happy living in apartments. Standard Goldens, however, really should have the space to roam and exercise that comes with a house and a yard. Minis also require less food and usually shed less hair too. The most important aspect to the Miniature is that they keep that same wonderful temperament of the standard Golden, just in a more compact size. It’s hard to see that appealing package going out of trend anytime soon! If the prospect of these pups appeals to you, and you have the time and finances to properly love, care, train and support a dog, then you should consider buying a Miniature Golden. Remember to always do your research when it comes to breeders and only buy from registered organizations who breed their dogs responsibly and provide all the correct papers and health information on your handover. As we mentioned earlier, it’s best to avoid those mixes with Cocker Spaniel genetics as these can be more inclined to bite and nip. How much are Miniature Goldens? As you might expect with specially bred dogs such as these, Miniature Goldens don’t come cheap. The average price for new puppies can be anything between $700 and $6,000, with many of the more renowned and respectable breeders pricing their pups at the higher end of this scale. It’s also worth factoring in the expected costs of vet visits and any non-medical expenses (such as food, flea treatment, crates, treats etc) in order to properly measure whether you’ll be able to afford the not insignificant purchase and upkeep of a Miniature Golden Retriever. We all know that dogs are a long-term commitment. 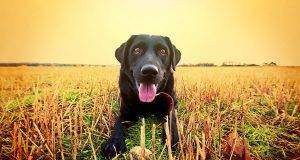 Not only do you have to keep them fed, watered and sheltered all year round, owners must also ensure that they get enough exercise and mental stimulation to stay happy and healthy. 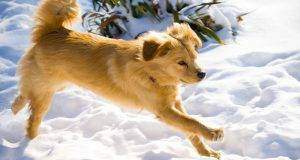 Exercise and training are particularly important for Miniature Golden Retrievers as without them, you’ll start to see behavioral problems and an increasing weight, eventually leading to bad health. 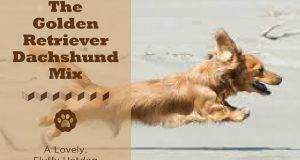 Mini Goldens are intelligent animals that need daily physical and mental stimulation. You will need to exercise your Mini for between 30 minutes to an hour a day, with plenty of time set aside for playtime and attention as well. Training should also be a daily occurrence in order to make sure that their behavior and command responses are well honed enough for them to fit into a family home. Before you buy a Miniature Golden Retriever, make sure that you have the time and energy to devote to their exercise and training. It’s no wonder that Miniature Golden Retrievers are becoming so popular. 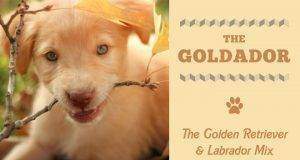 Their classic Golden temperament packaged up into a smaller body means they make wonderful family pets and indeed for anyone looking to put in the time, money and energy into caring for a companion animal. Make sure you do your research on your breeder before you buy and get ready for a bundle of fun, energy and love to enter your life. We have a Golden Retriever that is 46 pounds. She is AKC certified, we have the documents, and we have traced her pedigree back many generations. Since she is so small, should we be concerned about her pedigree and have her DNA tested? Our Vet says she is healthy and not stunted in any way. Where can you get a mini retriever in Canada (Quebec/Ontario area)? Where can I get a mini golden retriever in the UK please? Greed never ceases to amaze me. There is no such thing as a designer dog, these are high priced mutts being sold by unscrupulous people who call themselves breeders. If you want a small dog adopt a homeless pet, don’t encourage this behavior! Looking for a miniature golden retriever in Nebraska. Is there any way I can get a miniature golden retriever in Australia?